As a member of the Arkansas Education Association and the National Education Association, you've worked hard to help improve the education profession. You certainly don't want to lose sight of all these accomplishments. The best way to stay connected is to join AEA/NEA-Retired. Influence Legislative Policy AEA keeps you connected and up-to-date on legislation that concerns your schools and communities so that you can help us advocate for change. 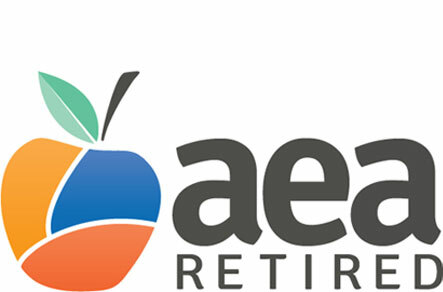 Help to Protect Your Retirement AEA works closely with the Arkansas Teacher Retirement System and keeps you current on changing retirement policies. It's a great way to connect with others and include your voice on ways to improve retirement pension and health benefits, including state pensions, Social Security and Medicare. Become a Mentor By sharing your knowledge and expertise, you can connect with those who are new to the profession to build leadership skills and improve public education. Keep in Touch Stay connected with your network of educators and former students who you have grown to cherish during your career. Retired members also receive representation on the AEA Board of Directors, and during the AEA Representative Assembly. You'll be able to attend special luncheons for retired members during the AEA Professional Development Conference and other special events throughout the year. You'll also receive AEA's publication, "Arkansas Educator." Research and Tools NEA provides a wealth of information that will help you understand, defend and strengthen your retirement benefits, including pensions, health care, Social Security, Medicare and ways to protect your retirement security. Helpful FAQs Among other things, the FAQ answers several questions about membership in "pension states" versus "residence states," and how to transfer membership if you move to another state. Interesting and Useful Articles NEA posts many articles from its retiree magazine, and other sources on the website, including those about members' experiences as mentors and explanations about health care reform and what it means for you. These resources are updated regularly, so there's always plenty of new information. In addition, you can attend various NEA-sponsored programs and workshops, including those on money management and mentoring, and receive representation on the NEA Board of Directors, and during the NEA Representative Assembly.